There are a number of ways to report environmental issues outside or near your business, shop, restaurant, street or in the city centre generally. These could be related to waste, fly tipping, paving, noise or pests for example. It is recommended that businesses report using the Manchester City Council online system. 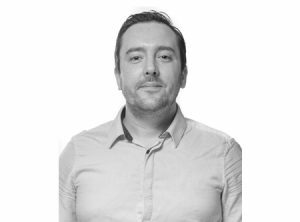 The Council and its partner agencies will then investigate and report back on the issue. The online reporting system is the most efficient and reliable way of reporting environmental issues to the council. You do not have to register; but doing so will enable you to track any reports through a CRM number provided. The central City Council switchboard is 0161 234 5000. 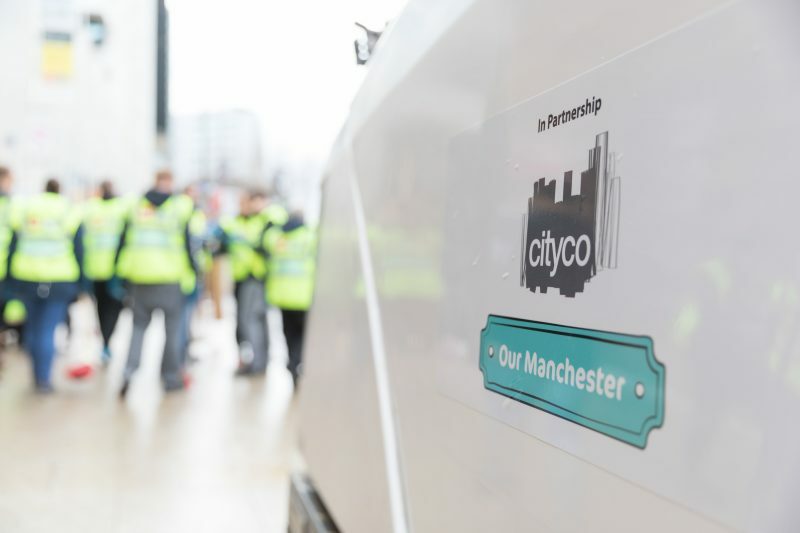 CityCo and Manchester BID work in partnership with Manchester City Council, Greater Manchester Police and Biffa to organise community led street clean-up days for the city centre. 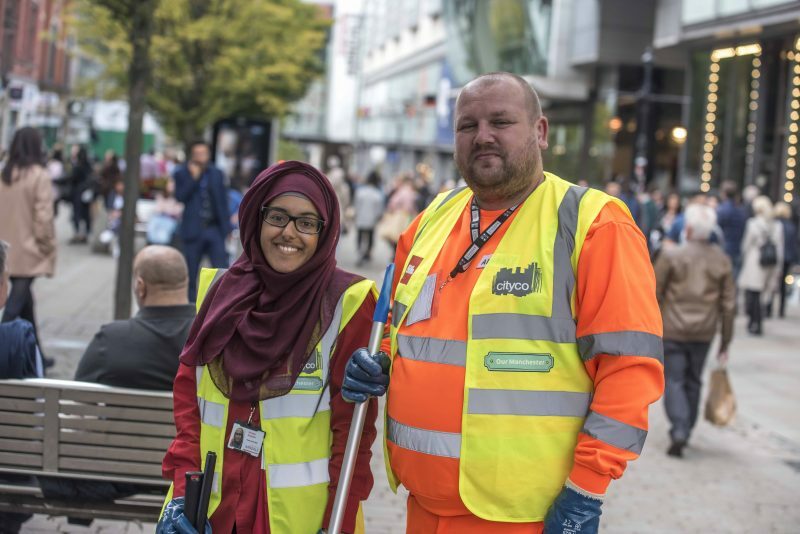 The events, which support the city’s Our Manchester strategy, see teams of volunteers sprucing up the area by jet-washing, sweeping, weeding, planting and cleaning. We’re always looking for staff teams and volunteers to help.